This is the third and final title in the Godfrey series. 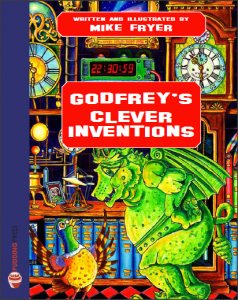 Godfrey the Gargoyle invents many things such as a Rain Machine, a Lightning Machine and an Underground train. 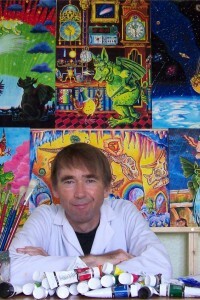 In the process he answers various questions about science posed by his friend, the Pigeon. Godfrey and the Stars and Godfrey’s Flying Adventure.